With apologies to Dickens, this is a story of two Las Vegas couples, starting their own separate small businesses, and of childhood innocence combined with cybertheft. 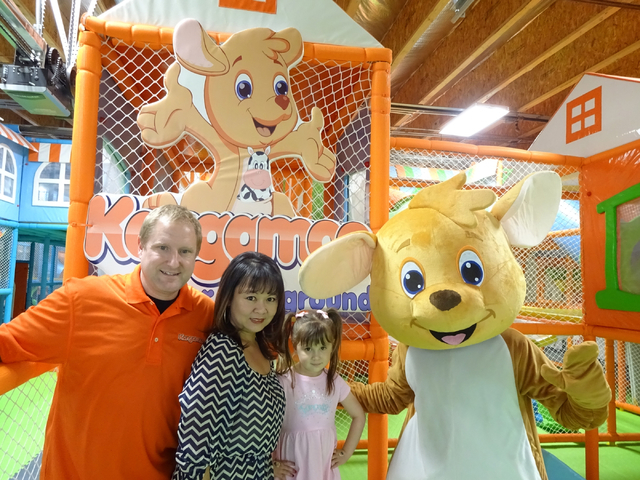 Entrepreneurs Shawn and Mimi Wachter recently opened Kangamoo, a 10,000-square-foot indoor playground that has become an instant success. But this is not just an ordinary children’s playground; it is also a place where parents can relax and play and, since this is the information age, do business using Kangamoo’s free WiFi. For the Wachter’s, Kangamoo is the result of part inspiration, part aspiration and much perspiration. But, as it turns out, it is partly the result of luck as well. The opening day of Kangamoo, while filled with excitement, could have been their closing day if the Wachter’s daughter had not gone to the same daycare as Troy and Shannon Wilkinson’s daughter. The Wilkinson’s had just opened Axiom Cyber Solutions, and the Wachters had contracted with Axiom to guard Kangamoo’s computer system against hackers. The Wilkinson’s, seeing a great place for their daughter to play, had signed up as members of Kangamoo, filling out a form that gave their names, address, daughter’s birthday and other information such as credit card account, to be stored in the Kangamoo computer system. Come opening day, while children were frolicking at Kangamoo, hackers were busy trying to gain access to the Kangamoo computer system. However, the Axiom-installed fire wall held and all of the information remained safe and secure. A series of coincidences are responsible for this tale of fortunate events. Both the Wachter’s and the Wilkinson’s met through their work, both couples married in 2010, had daughters that attended the same daycare, joined the Las Vegas Metro Chamber of Commerce around the same time, and both couples were opening new businesses in Las Vegas. The story of Axiom can be found in the Jan. 18 edition of the Las Vegas Business Press (https://businesspress.vegas/technology/local-firm-takes-online-demons). The Wachter’s met while working in Los Angeles for Gensler Architecture, one of the world’s largest architecture firms. Shawn, a designer, and Mimi, a project manager, were both on the ladder to success when in 2007, at age 33, Shawn was hit with cancer. In 2008, the economy crashed and with Shawn on leave for chemotherapy treatments, Mimi was struggling to stay employed. In 2010, the pair married and decided to move to Las Vegas where they could find more affordable housing. And in June of 2011, their daughter MaiLee was born. Like all good parents, the Wachter’s took MaiLee to the zoo to see the animals, and it was an early visit that became the inspiration for their future endeavor. While at the zoo, MaiLee fell in love with what she called a “Kangamoo.” The Wachter’s were so inspired by MaiLee’s fascination and mispronunciation of this adorable animal that they filed for a trademark on the name. Having survived cancer and the recession, the Wachters aspired to work for themselves and spend more time with their growing daughter. The idea for an indoor playground came out of necessity. Las Vegas is too hot in the summer, often very windy, and the winters are cold, at least compared to Southern California). 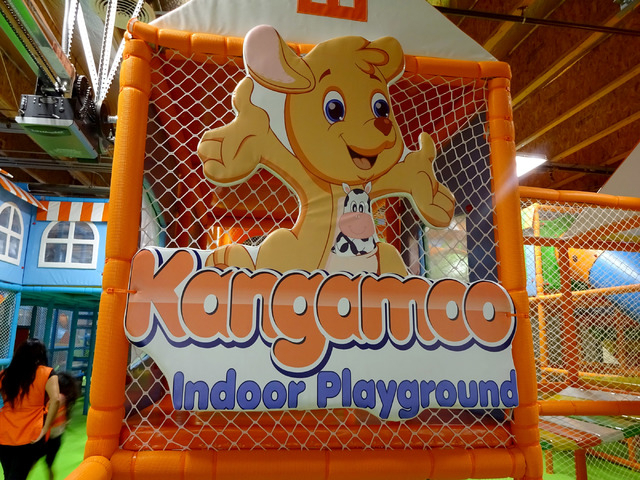 The answer was a climate controlled year round facility, and Kangamoo Indoor Playground was born. Although the Wachters were familiar with the process of designing and renovating commercial businesses, they were taken by surprise by the amount of work that it would take to design, permit, and build their own business. The planning took six months and for the next six months, the couple practically lived in the warehouse facility, electing to do all of the renovation work themselves. Shawn’s 20-year background in retail allowed him to create a polished franchise brand look to the business. Incorporated into their concept is an adult area with a bank of massage chairs, Wi-Fi, laptop and phone charging stations, a jogging track, do-it-yourself beauty stations, and work space that is free for the parents, who must remain in the building with their children. Due to Clark County Health Department regulations, no outside food can be brought into the facility by parents or children. However, there is a health food bar stocked with water, juice drinks and healthy snacks such as fruit, yogurts, and vegetables. Enabling the parents to relax is a staff of eight employees who monitor the playground to make sure each child is safe and having fun. After only a week of operation, the Wachters decided to hire an additional eight employees. Each employee undergoes a thorough background check, and there are instructions given for basic first aid. The playground consists of a giant treehouse type maze of tunnels, rope crossings, ladders, and a giant slide. There is also a corner which is Mimi’s pride and joy, where children are given the opportunity to draw and color using old fashion Crayons or play with building blocks. When the six-foot Kangamoo character walks into the play area, the children rush to its side and wrap their arms around the snuggly icon. The playground is located at 1525 E. Sunset Road, Suite 7, with windows that overlook McCarran Airport so parents and children alike can watch the takeoff and landing of airplanes. The facility is open to children ages 1-10 and the cost for three hours of play is $10. An annual membership for unlimited free play is $225. The facility is also available for private parties.